The Chubb Foundation was founded by two brothers, Brandon and Bradley Chubb. The brothers grew up in Marietta, Ga with their two parents, Aaron and Stacey Chubb. From a young age, Brandon and Bradley were introduced to football, and sports alike. Their father, Aaron was an All-Region athlete at Rockmart High School a defensive standout with the University of Georgia Bulldogs, and was drafted in the NFL by the New England Patriots. The boys wanted nothing more than to be like their father and follow in his footsteps. Their mother Stacey is an athlete too as she has competed, and still does, in numerous marathons, half-marathons, and triathlons. There was nothing short of competition in the Chubb household. Stacey also volunteers for a non-profit organization called Back on My Feet, that helps people literally get back on their feet after unfortunate circumstances, where she was "Volunteer of the Year" in 2016. Brandon has a background in philanthropy as he volunteered every Sunday in college with an organization called H.O.P.E, Help our People Eat. His service with this organization started as an hobby and quickly grew into a passion, as he was present every Sunday during the school year and summer to hand out meals to the youth of impoverished communities in Winston-Salem, NC. Bradley followed suit in his time at NC State, volunteering for toys for tots, Wake Medical Children's Hospital numerous times, and the Veteran's hospital. The mission of the Chubb Foundation is to activate human potential. Whether it’s coaching a camper’s efforts on the field or challenging a student in the classroom. From the early stages of the foundation, Brandon and Bradley knew they wanted to come up with solutions to problems their communities faced, but it wasn’t until a thought-provoking conversation with a mentor that sparked the inception of the “Moving The Needle” program. The Chubb brothers identified the lack of entrepreneurship (as a subject) taught in schools at a young age and made that their sole focus. “We believe entrepreneurship is so important at such a young age. We want to plant that seed early and better these kid’s futures,” Brandon Chubb said. 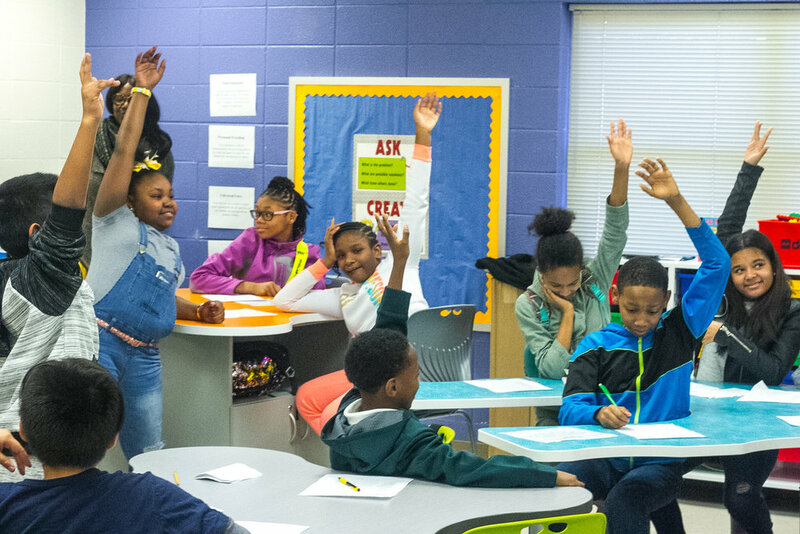 “Moving the Needle” is a 10 week program with Active Youth Academy, an Atlanta public school after school program, with curriculum focused on entrepreneurship. Every Thursday a 25 student class with 10 and 11 year old students meet after school at Dobbs Elementary School. Students are provided a book with curriculum to follow throughout the program. At the end of the 10 weeks, students will pitch to businessmen and businesswomen in a “Shark Tank” inspired presentation with a product they have been working on over the course of the ten weeks. The Pitch Night will be held at The Gathering Spot in downtown Atlanta. Donate today to help us bring mentorship, hope and love to those who need someone to believe in them. 100% of your gift will go directly toward developing human potential! We appreciate your interest in the Chubb Foundation. We are always looking for ways to get more people involved. If you have any questions, concerns, or interests please contact us below and our team will reach out to you. Tell us how you want to get involved.